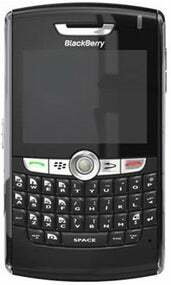 BlackBerry 8800 Hitting in Two Weeks? Word on the street has it that RIM will be launching a new BlackBerry handheld two weeks from today (Feb 20). Considering all the leaked shots we've been seeing recently, this could be the day we finally see the 8800 come to fruition. Either way, if you've been shopping around for a new Crackberry, you'd be wise to wait until after the 20th.